When we graduated from Y Combinator in the winter of 2012, we had a pretty limited payroll product and a handful of early local customers. Today, we’re proud to serve more than 60,000 passionate small businesses across the country with modern payroll, benefits, and HR. Last week, I drove down to Mountain View to meet the new YC Winter ’18 batch and share some seed-stage lessons we learned as we grew. I’d love to share these here and hope they’ll be helpful for other entrepreneurs as well. I truly believe that to build a great product, the first thing you should do is build a great team. So who should be your first hires? Identify the two to three superpowers you need on the team to differentiate your product from the competition. Then hire team members with each superpower. If you pick right, these folks will become 10x-ers who will set the stage for your long-term product differentiation. For example, our biggest competitors, ADP and Paychex, were founded in 1949 and 1971 respectively, well before the internet. As a result, their focus throughout their decades of existence was compliance and reputation. We knew that modern, delightful experience design would be key to disrupting our industry. So our first hire and 10x-er was a superb product designer who helped us build a product experience that customers can’t stop raving about. When interviewing candidates, optimize on their strengths, not their lack of weaknesses. For example, it would be ideal to find a designer who’s fantastic in experience design and in front-end development. But often, the best-of-the-best will be much stronger in one and not the other. Hire them for their strength, celebrate their great work, and pair them with complementary team members. Startups are a team sport. And when you find someone who matches what you’re looking for, close them like your life depends on it! Don’t take shortcuts with hiring. A false-positive hire is 100 times worse than a false-negative. Sometimes founders compromise when they feel time pressure (“But I just need two engineers quickly to launch my next version”). To avoid getting desperate, always be on the search for talent. Keep a list of great people with the superpower that would differentiate your company, ask for introductions to them, and share what you’re doing. I never regretted spending time getting to know great people. Some of the best hires I’ve made at Gusto are folks who I knew years before as vendors, fellow entrepreneurs, classmates, and colleagues. We kept in touch through the years and I shared my journey with them, seeking feedback and ideas. When the right opportunity came, they joined our team and helped us grow to where we are today. 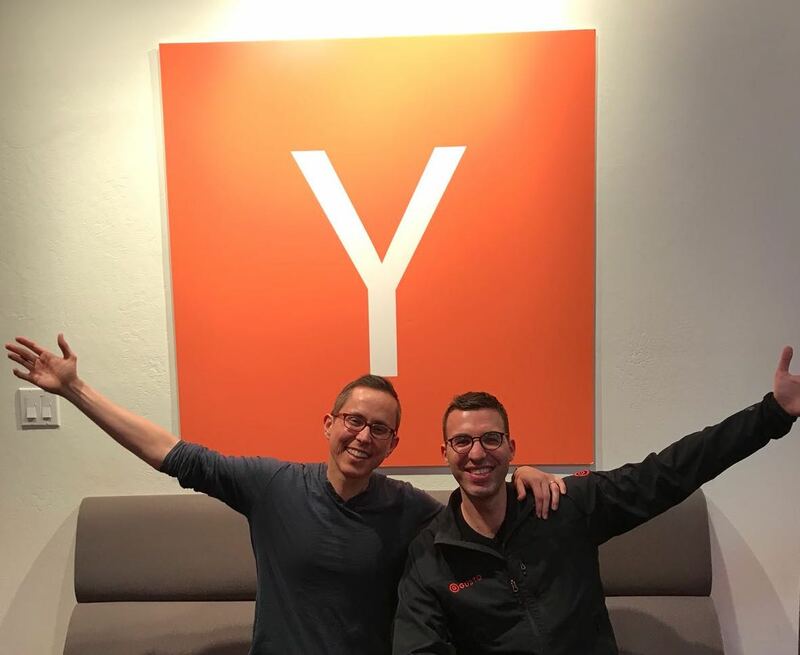 Josh Reeves and Tomer London spoke to the recent batch of YC companies. Eddie Kim, Gusto’s third co-founder, was traveling at the time. To find product-market fit, look for extreme frustration. Find a customer set that is completely pissed off by their current solutions. These customers are probably forgotten by current providers or are just very niche and hard to understand. In Gusto’s case, our industry historically overlooked small businesses or declined to serve them. As a result, 58 percent of small business still manage payroll with pen and paper, and 40 percent of businesses get fined every year because of a payroll mistake. This is insane, and small businesses deserve better. They are rightfully pissed off. Tailor your product to a pissed-off customer segment. Delight them in places where they’re used to pain. Win loyal promoters who’ll stick with you through the ups and downs and refer others. At Gusto, we are all about delighting small businesses. We maintain an NPS (Net Promoter Score) of over 70, while most of our competitors have sub-zero scores. If this were the cable industry, our competitors are like Comcast while we are Netflix. Startup founders should have a strong hypothesis about what their industry looks like in five, 10, or even 20 years. To inform your vision, spend more time with potential customers, understand who they are today, and learn who they become over time. Simple customer interviews aren’t enough since you can only ask customers about their current expectations and not their future expectations. Instead, prototype realistic solutions and show them to customers to observe their reactions. Look for the “wow” moments, and when you find them, don’t let go. I recommend the GV Design Sprint methodology on your search for wow. 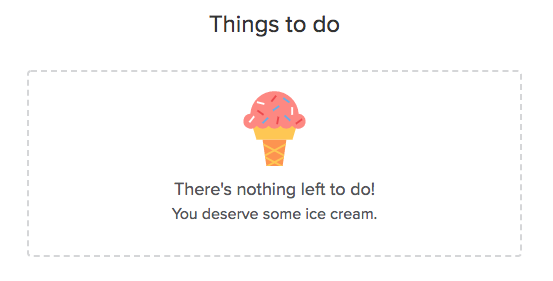 For example, after our customers complete all the tasks on their to-do list, like running payroll, we congratulate them and make them smile with an ice cream cone. It’s easy to leave craftsmanship behind as teams move as fast as they can. But if you ship sh*t, customers notice, team members notice. Everyone notices. At Gusto, our Engineering and Design teams spend 25 percent of their time working on technical and design debt, revisiting and improving old code and designs. We also recently started doing Polishathons, and are always working to improve our code quality. To build a great product, define what good craftsmanship means for you. Then, always fight to maintain it. Thanks for reading! I’m going to follow my own advice and end with a recruiting pitch. If you liked these ideas, there’s much more where that came from. Gusto is hiring: gusto.com/careers.